Fashion retailer Next says a no-deal Brexit could save it up to £15m thanks to lower tariffs and that it would pass on "modest" savings to shoppers. The fashion retailer also said consumers appeared "numb" to the latest debates around Britain's departure from the EU and there was no evidence that uncertainty around it was affecting their shopping habits in the sector. Next made the comments as it reported a 0.4% fall in pre-tax profits to £722.9m for the year to January - which it said was in line with guidance - despite total sales growing by 2.6% to £4.22bn. It comes as other retailers from Marks & Spencer to Bonmarche complain of gloomy high street conditions while the wider economy stutters, and business groups sound the alarm over the potential impact of a cliff-edge departure from the European Union. But setting out his view of the year ahead, Brexit-supporting Next chief executive Lord Wolfson pointed to the potential benefit from a plan to slash the majority of tariffs on imports to zero if there is no deal. He said: "In the (seemingly unlikely) event that these provisional rates are introduced in the near future, we estimate that there would be a net reduction in the tariffs we pay of around £12m to £15m. "In the medium term, our intention would be to pass on cost price improvements to customers, in the form of better pricing. "In the context of £1.7bn of stock purchases, the savings would be relatively modest." A no-deal Brexit would see the UK have to impose a new set of tariffs which would apply to goods from the EU as well as the rest of the world. Under plans announced last week , it would slash duties on the majority of goods entering the country. For a fashion retailer such as Next, the benefit of lower duties on clothes sourced from countries such as Bangladesh outweighs any higher tariff costs on imports from Europe. 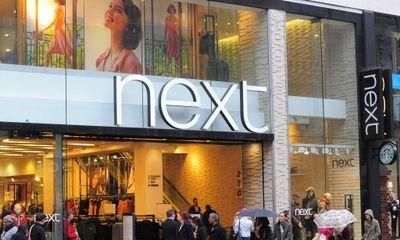 Next's annual results showed retail sales in its stores fell by 7.9% while online revenue grew 14.7%. The cost of shifting more of its revenues online - while still paying shop rents - suggested a further "marginal decline" in profits for the coming year. Shares fell 3%. But Lord Wolfson was relatively bullish about the wider trading environment. He said: "Whilst our relationship with the EU remains uncertain, other economic indicators for the consumer look less worrying than at this point last year." "Our feeling is that there is a level of fatigue around the subject that leaves consumers numb to the daily swing in the political debate. "It appears to us that consumer behaviour (in our sector) will only be materially changed if the UK's departure from the EU (or continued uncertainty around this subject) begins to affect employment, prices or earnings. "It does not see to be having any adverse effect on these variables at the present time." Next has previously set out preparations for leaving the EU and the transition to a new customs regime. It said in the latest set of results that it had little reliance on Dover or Calais - where disruption and delay is feared in the case of a no-deal scenario. But it still has contingency plans "to route more stock through alternative, lower risk, ports of entry if needed".